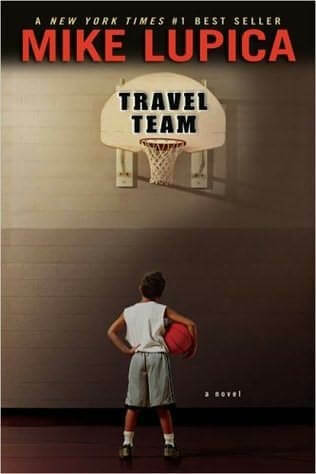 Following up on his wildly successful novel Heat, Mike Lupica’s Travel Team is another teenage novel about sports. The book follows the basketball of Danny Walker, son of Rich Walker, the NBA player from the small town of Middletown. His mother and father divorced, Danny’s life is turned upside down when he is rejected from the seventh grade Middletown travel team. But all that changes when his father comes back to town. Danny’s father, Rich Walker, is a local celebrity. When he returns to Middletown and offers to create another basketball team for Danny and some of his friends, it seems like a dream come true. But to make this work, Danny has to find out some disturbing facts about his father’s past, and ultimately has to end up coaching this team that has been created. The book follows the progress of the Warriors, the team that starts out losing 9 games in a row. When they are ranked seventh in the league, they’re set to play their rivals, the Vikings that Danny was excluded from. But when the Vikings’ star player, Ty Ross, unexpectedly is injured, and after he recovers ends up playing with the Warriors, things seem to look up for the underdogs. Of course, when his father finally tells him about the car wreck that ended his professional career years ago, Danny is shocked to find out that his father isn’t the perfect man he’s always thought him to be. When a second car wreck prevents his father from coaching the Warriors, Danny becomes the coach of this team full of massive underdogs; the rejects from the Travel Team: the Vikings. In the final game detailed in the book, Danny coaches his team down to the end, and they beat their rivals the Vikings. Travel Team is an extremely well-written book. Mike Lupica has an extreme talent for bringing together the mundane elements of an everyday kid’s life with a masterful plot and great character development. Though I can’t say I enjoyed this book as much as Heat (Another title by Mike Lupica that remains on my top ten list for children’s realistic fiction), it is still very well written and has Mike Lupica’s style woven through all of it. 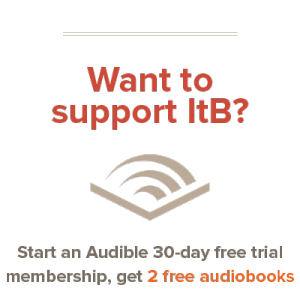 The book isn’t a really long read; though it clocks in at 274 pages it has large print and it’s easy to follow. The author’s transparent style and good dialogues are easy to read, yet they still keep you in suspense and wanting to read more. I’d recommend Travel Team to any Mike Lupica fan, or even to anyone wanting a good children’s book that’s about real life. Just as a note here, since I didn’t want to include it in the review, I’d count this as Mike Lupica’s second-best book. “Heat” still remains my favorite, and “Miracle on 42nd Street” just didn’t resonate with me like this one did. But still, “Heat” reins supreme.